We all feel sleepier when we’re sick. But just what is behind this need for sleep? The average human spends nearly one-third of their life asleep. Yet, so little is known about the genetic or molecular forces that drive the need for sleep. 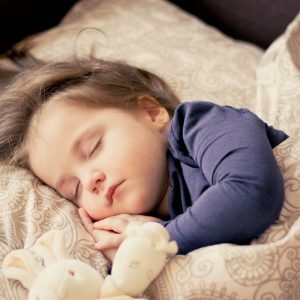 However, now a team of researchers from the Perelman School of Medicine at the University of Pennsylvania (PA, USA) has found a gene named nemuri that increases the need for sleep. To discover the direct link, the team studied over 12,000 lines of fruit flies. They found that flies missing the nemuri gene were more likely to be aroused during sleep. When they had an infection or were sleep deprived, their need for more sleep was reduced. “While it’s a common notion that sleep and healing are tightly related, our study directly links sleep to the immune system and provides a potential explanation for how sleep increases during sickness,” explained senior author Amita Sehgal. The NEMURI protein is secreted by brain cells to promote deep sleep after illness, while also fighting infection with its antimicrobial activity. In flies with the nemuri gene, sleep deprivation and infection stimulated its expression in neurons close to a known sleep-promoting structure in the brain.